France! Who doesn’t love its suave culture, beautiful country side, and exquisite fine dining? Well, luckily for the French class at Senn, they have traveled to the lovely country. Over spring break Senn students journeyed to France for two weeks, where they visited the historical cities of Le Mans and Paris. Students Sofia Ponce and Daisy Jaimes, both 18 years old and seniors in the French class had an awarding experience for their first time traveling to France. “It was just really nice, at night time especially,” said Jaimes. The students visited many historical landmarks and explored the country, while at the same time improving their French. “I tried to experience what a French life is,” said Ponce, who lived a french family while on the trip. Each of the students lived and traveled with different families as part of their experience. Not only did the students live with families and tour France, but they also went to school everyday. When they met up at the school, they got to mingle and hang out with French kids who came to Senn and experienced Chicago life. “It was really interesting, the fact that we went there and already knew people,” said Ponce. Mr. David Stachowiak, Senn Arts coordinator, had been to France three times and was anxious to seize the opportunity to chaperon the students. 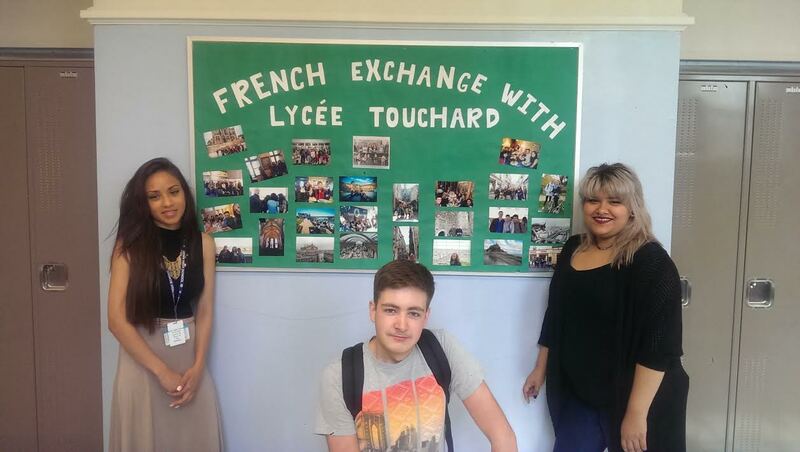 “Not only would it be a rewarding experience to take students to Le Mans, but I would also be able to visit my friends who I have not seen for many years,.” said Stachowiak. Although he doesn’t speak good French, he was able to communicate with French citizens by saying ‘Je ne parle pas bien le francais, parlez-vous anglais?’ which means ‘I don’t speak good French, can you speak English?’ Stachowiak expressed how the people in France were very hospital and would recommend places for the students to visit. Even though France was lovely and breathtaking, the students were beginning to miss home. “I was anxious to come back,” said Ponce. Overall, the journey was a great success and the students enjoyed themselves. They feel that this experience was unforgettable and they would love to go back again one day.